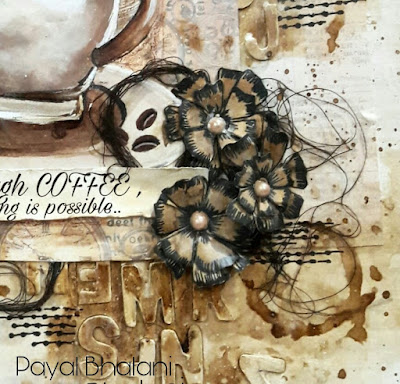 "Creativity comes with the coffee.."its very true in my case.. so i thought to make something related to coffee with the coffee... yes.. with the coffee.. i used coffee as color in my layout so its special to me... 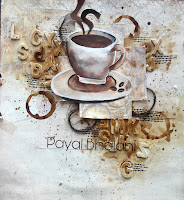 I inspire from Marta lapkowska. She made an amazing Art journal page with tea & coffee. 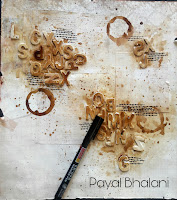 To watch her video click here. 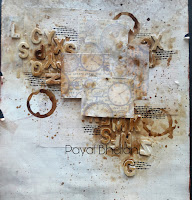 I also tried to capture some photograph while i was creating it. 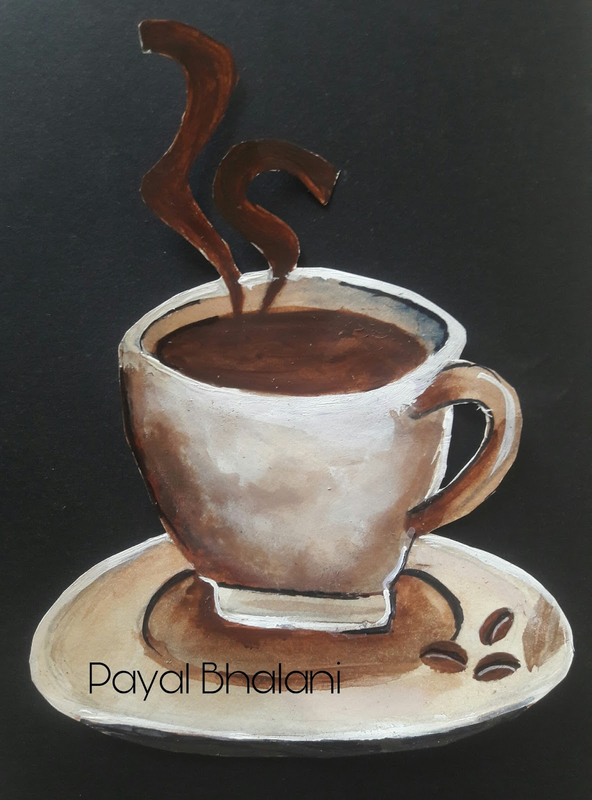 so I hope it will be helpful to you..
Feel free to ask any questions if you have any doubt.. if i can than i surely help to you.. So firstly I add some wooden alphabetic chipboard on paper Than apply the Gesso on it. 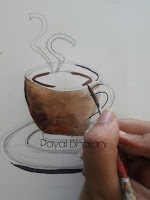 at the end i did coloring with dark coffee.. 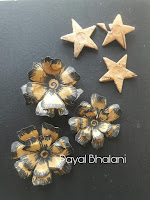 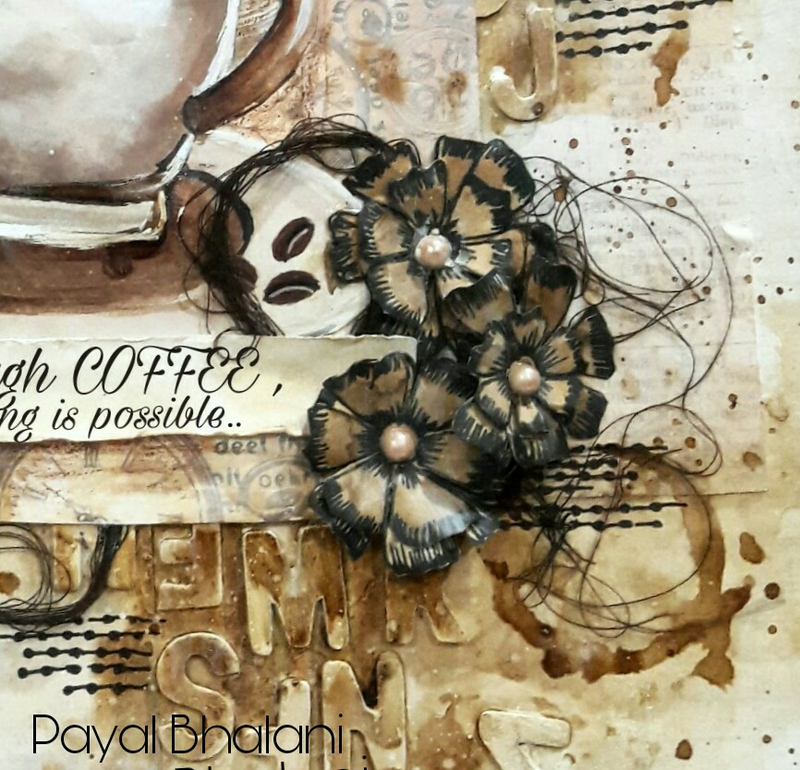 I am making focal point of my layout.. u can also use ready photograph or tag..
after coloring with acrylic paint.. i did fussy cutting of this..
with the cooffee cup... adding in center.. 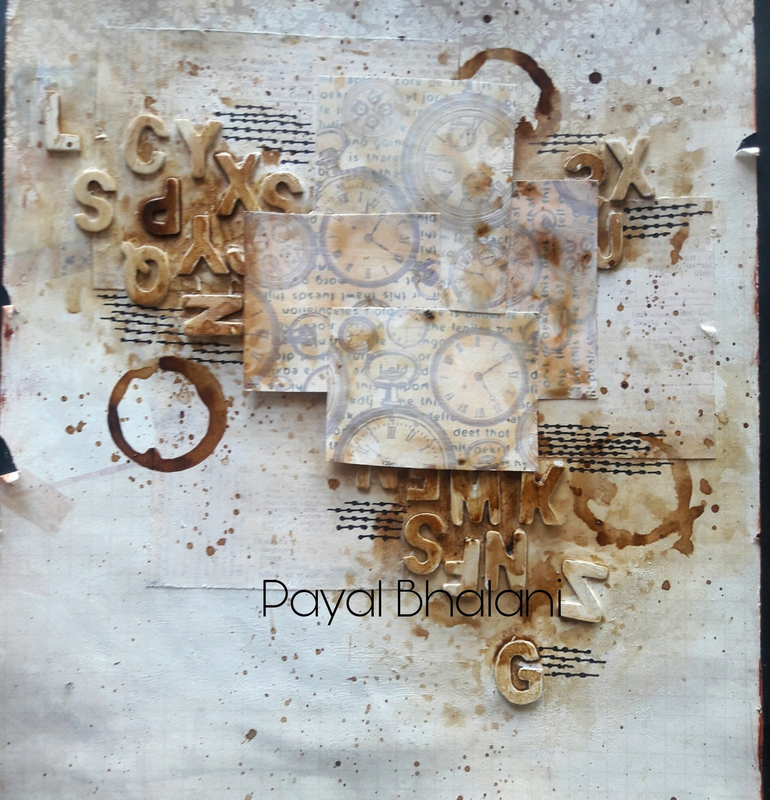 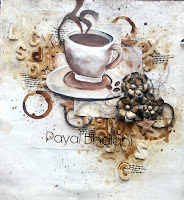 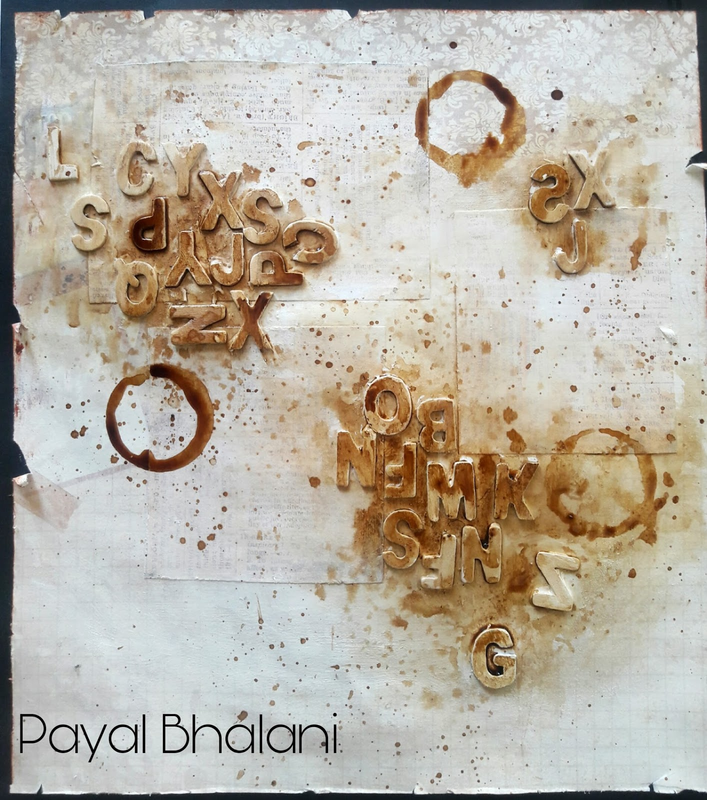 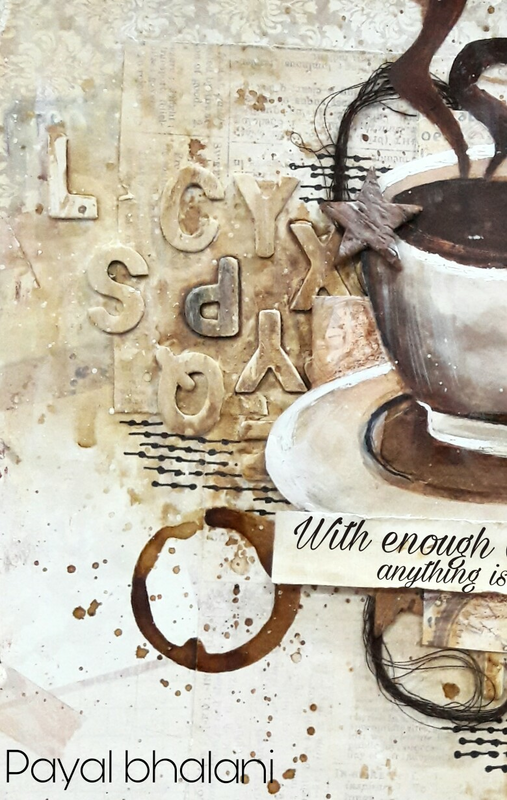 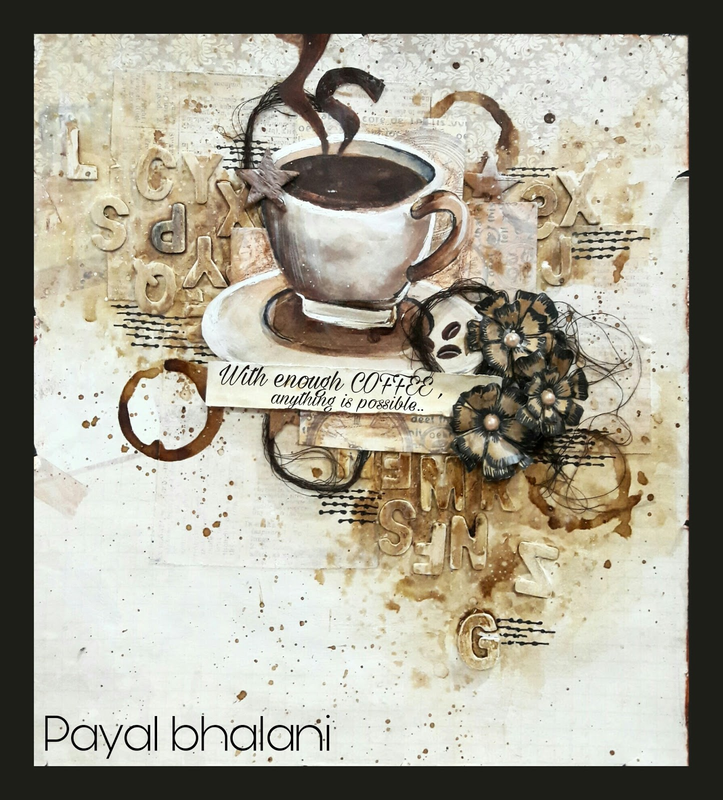 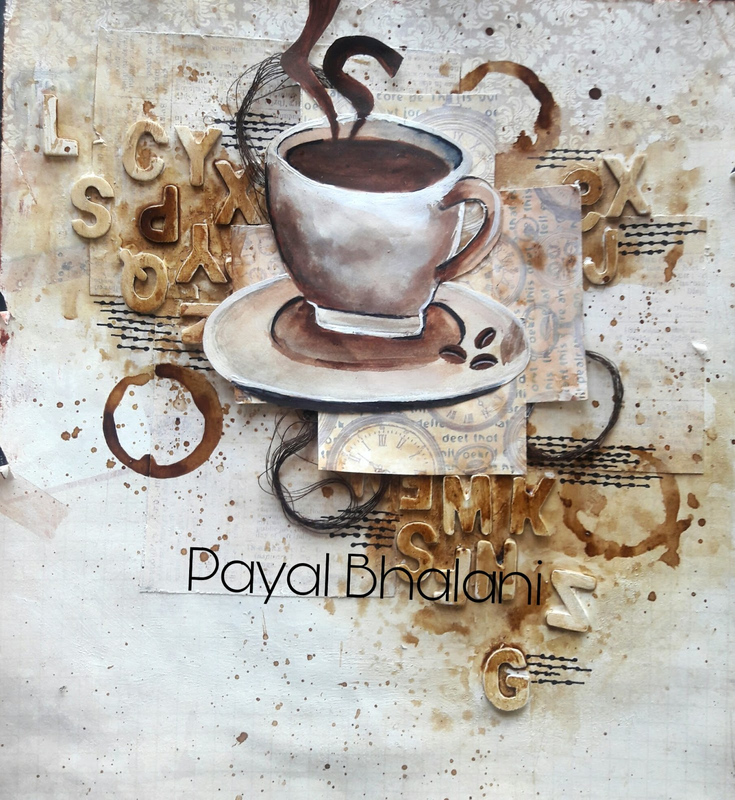 So here is the final output of the COFFEE LOVE mixed media layout.. 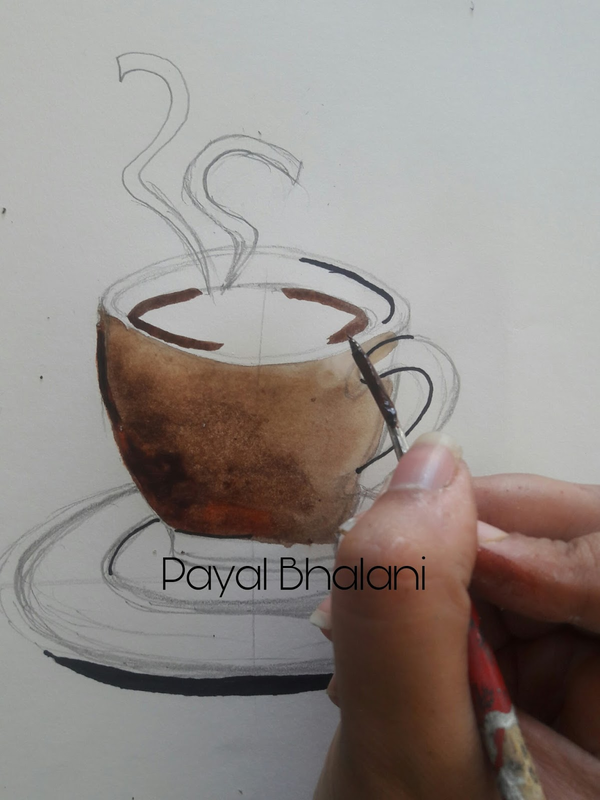 I hope you like it.. Thank you... please leave your love..! !